Often referred to as "the voice of the Revolution," Patrick Henry played a vital role in helping to launch the revolt of the American colonies against British rule. An early and compelling Revolutionary orator, Henry played an active part in the debates over the founding of the United States. As a leading anti-federalist, he argued against the ratification of the Constitution, and at the state level, he opposed Thomas Jefferson’s Statute of Religious Freedom in Virginia. In both his political triumphs and defeats, Henry was influential in establishing the nature of public discourse for a generation of new Americans. In this concise biography, John A. Ragosta explores Henry’s life and his contributions to shaping the character of the new nation, placing his ideas in the context of his times. 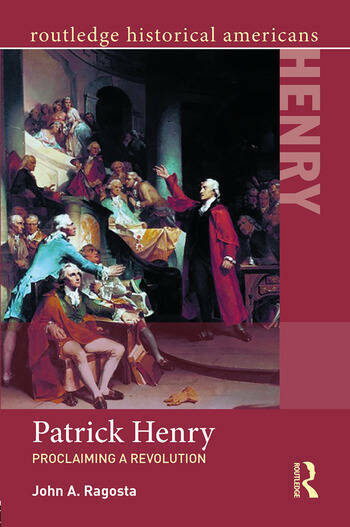 Supported by primary documents and a supplementary companion website, Patrick Henry: Proclaiming a Revolution gives students of the American Revolution and early Republic an insightful and balanced understanding of this often misunderstood American founder. Appendix: Are Patrick Henry’s Speeches Accurately Reported?